Smart speaker marketing is the future of digital marketing, and it is essential for every marketer to get in on this space while there’s still time for us to populate, but not oversaturate, this previously unexplored area to grow an audience. However, with smart speaker marketing comes the decision of what smart device is best for your marketing opportunities. 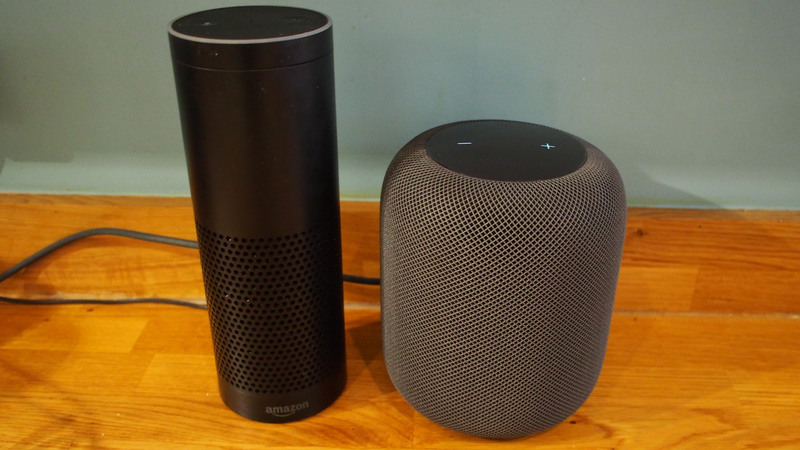 When it comes to things like choosing the Amazon Echo vs. Apple Homepod, we need to make sure that we understand what each smart speaker can offer us, and how they each work in comparison to one another. Recent studies show that there are 3-5 smart speakers per household in our modern world, so make sure that the content we create is accessible to those speakers and the people who use them is imperative to creating a successful digital marketing strategy. And that’s what we’re here to help with! In the discussion of the Amazon Echo vs. Apple Homepod, you need to know what each one does, and how they can each play into your digital marketing strategy. With a healthy combination of research, understanding of the current market we’re in, and knowing just how important it is to be apart of the smart speaker marketing scene, we’re going to help you learn which smart speaker can be the most effective for your marketing strategies and which ones you can rely on to get the job done. Let’s get started! In the case of the Amazon Echo vs. Apple Homepod, we need to know how each speaker functions, starting with the Echo Dot. Amazon has created a small yet efficient smart speaker that allows you to complete a variety of everyday tasks with nothing more than your voice! By collaborating with everyone’s favorite AI assistant, Alexa, your Amazon Echo Dot can give you virtually any piece of information you’re looking for—news updates, scheduled events from your personal calendar, and a chance to collaborate with some of your favorite applications like Spotify to allow you to enjoy music with a high quality of sound from any room in your house. Plus, the style and size of the Amazon Echo Dot allow the device to fit into any room with ease, making it one of the best choices you have when planning your smart speaker marketing strategy. When you discussing the Amazon Echo vs. Apple Homepod, you have to think about what Apple brings to the table! Arguably the forefront of the smart device movement, Apple has created the Apple Homepod. With a sleek and cylindrical design, the Apple Homepod comes with six microphones built in around it. This means that, regardless of where you are in your home, your voice will travel and your Homepod will be able to hear the commands you give! You can use the help of Apple’s incredible AI assistant Siri to check in on your daily updates—the news, your scheduled events, and anything else that you can connect through your other Apple devices. The Apple Homepod doesn’t perform all of the other functions that other smart speakers can do, but that’s the entire point of creating each one differently! With each household owning more than one device, being able to collaborate and use them for a variety of things makes your outreach even stronger by building a presence on each one. Your Apple Homepod can detect the space that you’re in, making the sound fit perfectly with the location you’ve chosen for your speaker. It’s an amazingly easy choice to make when you’re looking for the perfect way to create sound in your home. So, if you know what both of them do, how do you choose the best one for your marketing strategy? When discussing the pros and cons of the Amazon Echo vs. Apple Homepod, we have to look at what each can provide for customers and how we can use their functionality to our marketing advantage. At a first glance, the Amazon Echo has the upper hand due to the fast-growing marketing minutes called flash briefings. A creation by Amazon and used with Alexa, a flash briefing is something that marketers are using to record their brand message for millions of people! Usually 60 seconds long, a flash briefing is designed to let a marketer introduce themselves to their audience, tell people how to reach them at a later date if they need help with any digital marketing work, and provide the audience with a fun marketing tip that they wouldn’t otherwise know, making them essential in your smart speaker marketing strategy. To create these amazing flash briefings, all you need is a topic to talk about—something you’re an expert in, and can certainly give amazing advice about—and a few hours at the beginning of each month to record your marketing minutes! Being able to find a way to get your message out there to an audience that’s never been able to hear your message before is part of what makes this smart speaker marketing revolution so vital and so necessary. Additionally, these flash briefings are free for people to subscribe to. When they ask Alexa to play their morning updates, your flash briefing will be one of the first things they hear in the morning, ensuring you entrance into their house and into their lives. It’s marketing made easier than ever, and marketing that saves you time in reaching out to cultivate leads—your marketing minute creates the leads for you! So, where does Apple play into the debate of the Amazon Echo vs. Apple Homepod? While Apple is in the works to cross-stream these flash briefings through their own services, the Apple Homepod plays a different role in the world of marketing than the Amazon Echo does. For starters, the way that the Apple Homepod is designed makes it perfect for literally any location, at any place and any time. The sleek look allows it to fit into any atmosphere, and the way it’s programmed to truly understand the space that its placed in makes it the perfect choice for things like meetings and listening to import audio files. You know you’re getting the best possible sound quality when you’re listening to things like weekly podcasts and YouTube videos and enjoying streams of what you need in your digital marketing sphere. Additionally, Apple connects with your other Apple smart devices. That means that you can stream things from your iPhone directly to your Homepod from any room in the house! With the 6 microphones that are built into the Homepod as well, your voice commands can travel from room to room, allowing you to enjoy your podcasts—uninterrupted—from anywhere in your home, workplace, or anywhere else you might be listening. The exceptional sound quality also makes the entire listening experience easier than ever. Do flash briefings have the upper hand by being a singular smart speaker company right now? Yes, that’s unavoidable. But, with talks in the works of building up the flash briefings streaming through other smart speakers, allowing the idea of Apple Homepod marketing to grow as the year’s progress! With how quickly this market is growing, it’s hard to believe that any company capable of creating smart speaker technology won’t jump onto this amazing marketing opportunity as it slowly but surely rises up and takes over the digital marketing world! 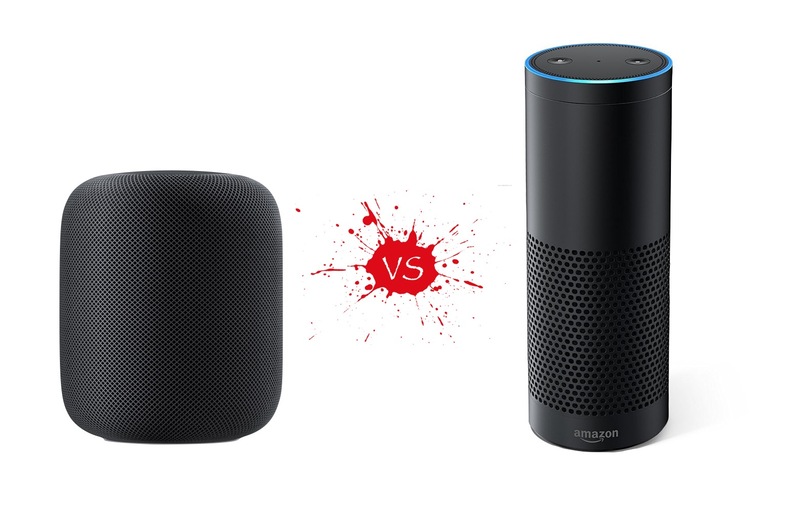 So, in the end, what choice is the best for your business in terms of the Amazon Echo vs. the Apple Homepod? Right now, Amazon has the upper hand as long as they’ve got singular control of the flash briefings. 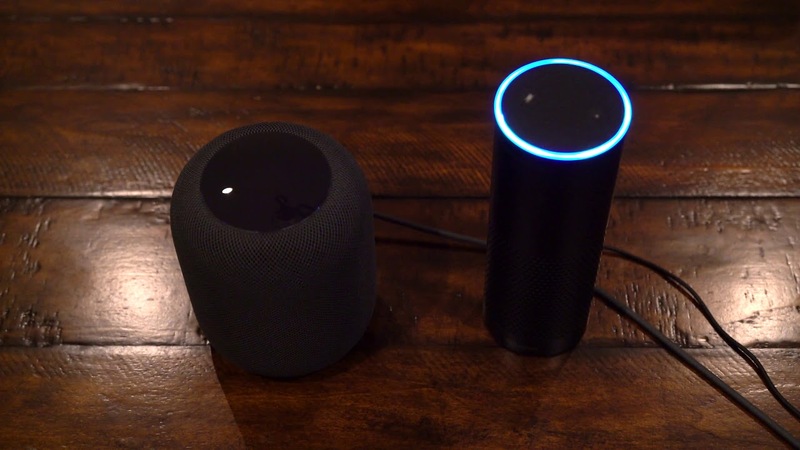 As of right now, it’s monitored through Amazon and the Alexa app that you can download on your phone or any smart device you connect with your Amazon information. The amount of open space for marketers in the flash briefing world is limited, as this trend has just started to become something truly amazing and hot among the marketing community. Being able to contribute while there’s still a reasonable amount of room to do so means that you’re taking the best advantages for your business that you can. Being efficient is being responsible! However, that doesn’t mean that other smart speaker devices aren’t important in your grand marketing scheme. Each one is designed to do something different and to bring something different to the table. If they were all the same, then the incentive to have more than one wouldn’t be there! 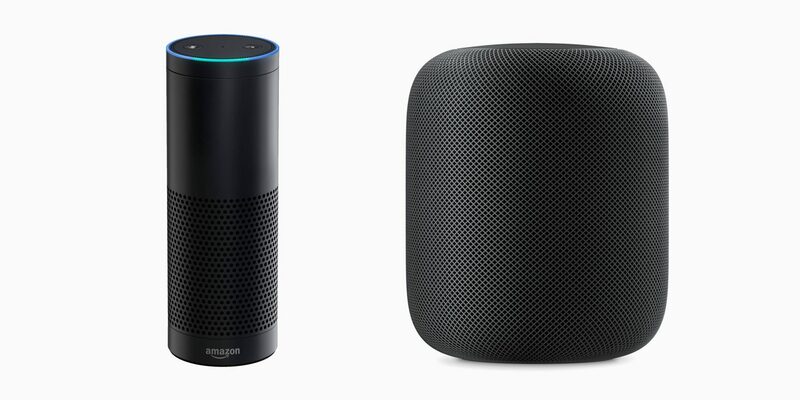 As stated before, each home in this modern world has 3-5 smart speaker devices in their house at any given time, meaning that there’s space for both an Amazon Echo and an Apple Homepod. By using the Homepod for streaming, crystal clear audio, and the ability to listen anywhere with how amazingly responsive it is, you can guarantee that your message is being heard at any point in the day, putting you in the house of a potential client without having to try to get there yourself! Combine that with the innovative way that the Amazon Echo Dot can fit into any room with its small design, easy to use voice function, and regular updates about daily events in your life—the news, scheduled events, and the unmissable flash briefings—and your house can be a nonstop hub for all things digital marketing with the amazing use of smart speaker content! Amazon Echo vs. Apple Homepod? Why not both! You can embrace the power of every smart speaker that’s been created in order to build a sustainable, effective, and powerful marketing strategy that’ll cultivate new leads, build your audience with a more diverse crowd, and allow you to reach out and make connections with other marketers as well as new clients that’ll bring your business success! So long as you understand the way that smart speaker marketing works, the choice of which device you use to get your message across successfully comes second. Get your message, make it clear, and make yourself stand out among the crowd.